Slip and fall accidents are one of the most common causes of personal injury for Ontario residents and can result in injuries ranging from cuts and bruises and soft-tissue injuries to fractures, spinal cord and brain injuries, which in turn can result in severe impairment that can become permanent. The process for claiming financial compensation in slip and fall accidents is complex because of many contributing factors such as limitations and owner liability. Unintended slip and falls are quite common, yet the misconceptions surrounding the claim process are many and can hinder a successful claim. In order to file a successful claim, the victim has to meet strict requirements while making sure to stay within the applicable time limitations. The at-fault party must receive written notice from the injured victim within time period, which in some cases can be as short as ten days. If you have been injured as a result of a slip and fall accident in Ontario, you deserve compensation for your injuries. Some of KPC Injury Law staff has been previously employed by various legal teams at insurance companies, banks, public transportation companies, and government agencies. This vital experience gives us the edge over the competition and allows us to stay one step ahead of the opposing legal representatives. Contact KPC Injury Law for a free, consultation; we will protect your rights and ensure that justice is served. 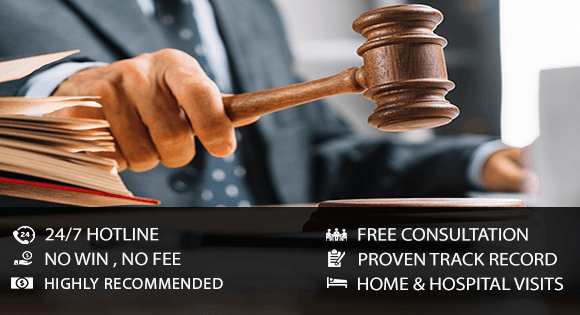 You don’t have to pay a cent until we win your case, so call us today; KPC Injury Law has a proven track record of success and has recovered some of the highest settlements in the history of Canadian law. We are legal professionals that you can rely on during the most difficult times of your life.